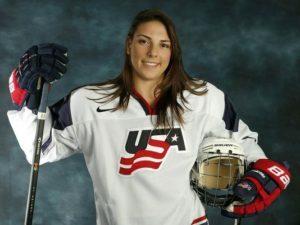 The US Women’s Hockey Team has decided to boycott the World Championships taking place March 31st-April 7th in Michigan due to a wage dispute over compensation and support equal to the mens’ team. The women currently make $1000 per month for 6 months leading up to the Olympic Games, so esssentially just $6000 for 4 years, as they need to train during the 4 years between Olympic Games. USA Hockey responded to the boycott and issued a statement expressing their commitment to the team and an increase in pay, however the players expressed through their lawyers that the USA Hockey statement was “dishonest” and they are still in dispute. March Madness officially kicks off today, which means if you haven’t filled out your bracket yet, you have until around noon ET today. It’s easy to fill out. Just go on any sports site and pick your own teams or have them auto fill for you. The next few weeks will be all NCAA basketball all day.